Welcome to the second part of my Harry Potter Question Challenge! I encourage you to read the first part if you haven’t already. Now let’s get back into it. 16. Who’s the character you most want to know more about? I remember meeting him in book two and loving his character. His situation is similar to Hermione. He’s born to Muggle parents and discovers he has magic and he obsesses about Harry, following him around with his camera. But, after the second book, I did not remember seeing him again. Apparently, he dies in the final battle (I did not remember this at all). But I felt as if his character could have been explored so much better! 17. Part that makes you teary? In all the books, there is only one part I cried for. When Dobby the house elf dies. Maybe because Dobby seems like a purely good character. He hasn’t done anything wrong, and dies protecting Harry. It’s just so sad! I didn’t cry when any other character died, but that scene really got to me! 18. What was your Deathly Hallows book release experience? I don’t do book releases. I don’t stand outside a bookstore for it to open or go to any book release parties. I just don’t care that much. So with this one, I recall the day after it was released we just walked into Barnes and Noble and walked out with this book in hand. Nothing at all dramatic. 19. Epilogue or no epilogue? I am a firm believer in trying to understand the full vision of an author. And unless I find out she was forced to rewrite a book because of the publisher’s pressure, I like to try to accept the book as she truly wanted. And if she hadn’t wanted an epilogue, she wouldn’t have written an epilogue. I could sit here and say it wasn’t really necessary, but at the end of the day it still exists and I like to live in reality. I’m picking my same choice for the book and movie, though with the movies I probably liked the first two movies equally, and the third almost as much! 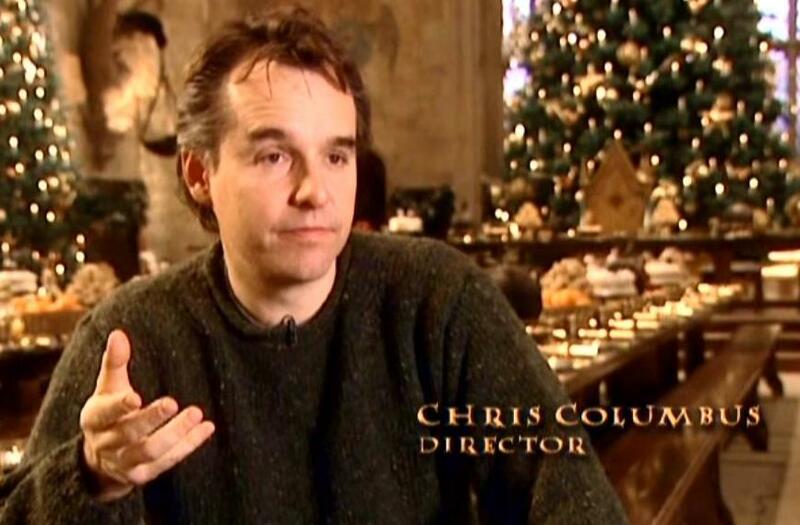 Since I love the first two films the best, it makes sense that Chris Columbus would be my favorite director. Other films he directed were the first two Home Alone films, Percy Jackson and the Olympians, and he was the writer for great films like The Goonies and Gremlins. I’ve seen interviews with Tom and he just seems like the nicest person. Why is it that the worst characters are usually played by the nicest actors? I remember after reading the first book, I watched the movie and I was just floored at how amazing Richard Harris was as Dumbledore! He was just perfect! It’s such a pity Richard Harris passed away in 2002, at the age of 72, to be replaced as Dumbledore by Michael Gambon. I didn’t hate Michael Gambon, but he didn’t have the wisdom and uniqueness of Harris’s performance. I got none…the movies were either as good or worse than the books, and never was I really pleased by a change. There are so many great songs from the movies, but this one is inspired by the witches in Macbeth, so how could I not love it! This scene in The Deathly Hallows (Part 1) when Harry and Hermione visit Bathilda Bagshot, who is really dead and possessed Voldemort’s snake Nagini. That scene feels straight out of a horror movie and when I first watched it my toes literally cured in fear. It’s so freaky! …No one. It’s a weird question to be asked, because I grew up watching so many of these cast members, they seem more part of my childhood at a time when I didn’t notice whether people were attractive or not. So I never thoughts of any of them as attractive. 28. What do you most want to hit the screenplay writers for? Maybe for turning Ron into a pathetic, useless character in the fourth movie and beyond instead of the loyal, courageous friend in the books. I really hated what they did with Ron’s character in the movies, just to add more unnecessary angst. 29. What character would you play? I was thinking Luna at first, because I relate to her, but I already picked her in one of the other questions, so I’ll go with Irma Pince. 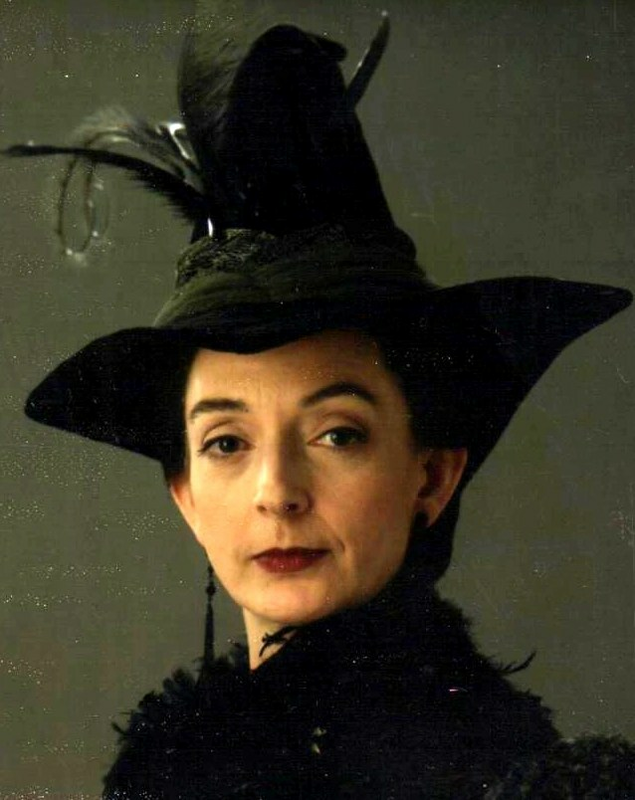 Probably most people wouldn’t remember her, but she is the librarian at Hogwarts library. She’s very protective of the books and most students don’t like her. It seems exactly the type of character I’d want to play: unlikable, in charge of an ancient library, and obsessed with books. Sounds about right. 30. How would you sum up Harry Potter in one word? I could go with words like magical, bewitching, etc., but at the end of the day, Harry Potter is all about awakening the imagination in your mind to an unbelievable world. Posted on October 15, 2018 October 13, 2018 by Madame WriterPosted in ReadingTagged Books, harry potter, movie, Reading. I hit the screenwriters for leaving out Peeves. I think he’s an essential character and represents the spirit of Hogwarts. Though this series is so popular, I have never read or watched it… I have no idea what in the world I did in my childhood😧. This article is so intriguing that I want to check this whole series out! I read the Part 1 last night, and I watched the movie this afternoon! As you say, this series can really awaken imagination in our minds. Building a brand new and complete world in the book and movie is cool! And librarian is a fantatstic occupation! I don’t know about China, but in America it was difficult not to read it or watch it because almost everyone was talking about it. I hope you enjoy reading/watching the series! It definitely awakens the imagination! And yes, growing up I always wanted to be a librarian. It is quite popular in China,too! But in my experience, It seems that there were not many people around me talking about it. But it is definitely an important part of lots of Chinese children’s childhood! I didn’t know that. It’s so cool that a British book series could become so international!